Only agencies that present the big picture can guide their clients through an age that may be defined by fads and failures, David Patton says. 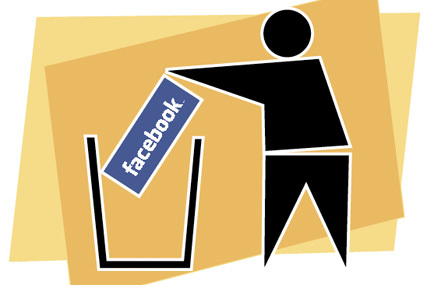 Consider this: Facebook won't matter - or even exist - in five years' time. With a global audience of 658 million, Facebook seems impossible to ignore. Clients want Facebook strategies. They're asking the same questions about Twitter, and a host of specialised social media sites from LinkedIn to Mumsnet, not to mention the niche communities growing up around apps such as Instagram or Soundtracking. But, just because success today can make something currently indispensable, it is no guarantee that it will matter tomorrow. This is not iconoclasm for iconoclasm's sake. Business books are preoccupied with documenting success in the hope of replicating it. The story of a $100 billion company that emerged in seven years from a Harvard dorm is the stuff of business legend and, now, the movies. Economists see that success is the tip of the entrepreneurial iceberg. The dark bulk lurking underneath, and buoying up the likes of Facebook, is failure. The title of Paul Ormerod's pioneering book Why Most Things Fail: Evolution, Extinction And Economics examines the more pertinent questions we should also ask. It's not just that most things fail. It's that big things fail just as often. Of the list of the biggest companies in the US in 1900, only a handful survive - and all in diminished circumstances. Of the original companies in the FT Index, which started in 1935, only two remain. One is a household name, Tate & Lyle. The other, the engineering company Guest Keen and Nettlefolds, is, perhaps, not. Gone are the giants of UK industry: ICI, Bass, Austin Motors, Harrods, Dunlop Rubber, London Brick and others. The theme is picked up in the Financial Times writer Tim Harford's new book, Adapt. Failure, he points out, is a necessary condition for adaptation in the economy. If Facebook can grow so big in so few years, it is far from inconceivable that it could be knocked down in scale just as quickly. The digital economy is not immune to diminishment or failure. The £175 million ITV agreed to pay for Friendsreunited in 2005 would sound like a bargain compared with Facebook's valuation - if it had not had to unload it for a mere £25 million in 2009. And Rupert Murdoch may have mixed feelings about the reported $580 million he paid to own yesterday's social media giant MySpace. Why is it important to understand this? Because it asks crucial questions about how agencies can best help their clients. Clients are bombarded by an exponential increase in media channels and choices. If each is framed as needing its own strategy, its own agency, its own management and its own relationship, the practicality (and cost) of running a marketing department will run out of control. Instead, agencies should be managing this challenge for clients. The job of an agency is to help clients identify the real trends, worthy of strategic thought and investment, as opposed to the fads, requiring tactical management and fleeting expenditure. Facebook may just be a fad. It demands new craft skills to execute ideas in its ecosystem - but, perhaps, nothing more. Beset by privacy, security and popularity issues, there are many weaknesses and threats to Facebook for other players to exploit. Social media is a trend. It represents people expressing their social and personal needs and desires through a new medium. Understanding the depth of motivation and behaviour behind that is worth strategic investment, and should set the course for a brand. The divide-and-conquer approach of an ad industry full of channel specialists competing for a diminishing slice of a less profitable pie does not benefit our industry, clients, brands or consumers. To deliver real value, agencies need to reduce the workload of their clients. They will do this by distinguishing fads from trends. They will then bring less to the table - fewer channels, fewer relationships and fewer needless worries packaged as "opportunities". Clients can then concentrate on making considered, strategic decisions. I believe full-service agencies are again in the ascendant. Only agencies that can present the big picture can help clients in an age that will be defined more by the failure of new channels than their success. WAP: As the 21st century began, the internet seemed like a miracle and WAP was going to put it on our phones. Brands piled in to ready themselves for consumer demand. However, the slow and unreliable WAP was a huge disappointment. By the time it was worth using, it had been superseded by real mobile web applications. Portals: Another early internet folly. Sure that people would want their online experience mediated by "trusted" and "familiar" brands, everyone from retailers to banks, insurers and broadcasters rushed to build portals that would delight customers and ratchet up cross-sales. In reality, people preferred Google to their insurance provider and learnt to buy insurance from an aggregator. QR codes: Perhaps you still think QR codes are a trend. Certainly, it's more fashionable than ever to have one tucked in or tacked on to your creative. Yet the cumbersome apps required to read them, the slow interface, frustrated misreads and "so what?" quality of the information makes QR codes a sitting duck for slicker technologies, such as Google Goggles. Watch this fad eat up a few more million marketing dollars before it goes away. Second Life: In cyberspace, no-one knew who you were, so you could be anyone you wanted. Surely, this nirvana of utopian self-actualisation was perfect for lifestyle-enabling brands of every hue? Virtual communities, such as Second Life, would be places where brands would perfectly self-actualise too. Yet, for most people, holding their first life together was effort enough, and knowing a brand in a virtual world made that brand less, not more, real. And, finally, Twitter: It's maybe a bit controversial to call it a fad just yet, but, certainly, it has a fickle existence. A shallow vat of randomness offering dull and inane opinion, or a colossal window on the world offering incredible insight to the mood and emotions of our global citizens? You decide. Should brands be investing in apps? Can media reclaim its value?